Because of some adjusted priorities, I have reverted some of my blogs to drafts and "unpublished" my Facebook page. Both are saved and may be displayed again later. Regarding songs, free .mp3s are available here for the songs from the collection (renamed) Great God and here for the songs from High Priest. They will work on any audio player and can be burned to CDs. Because of a few of my songs’ lyrics and things I sang, I wanted to remove them from digital distribution. However, many years ago, when I published the two records, they had to be grouped together under each collection's title. So I could not remove individual songs without taking each record down entirely. I am sorry if this impacted your music collection. I hope to offer refunds for the unforeseeable future as well as a place for donations if this music is new to you. Please check back if you are interested in that. Thank you. God as father? If God has led you into faith in His Son and you've turned from your sin towards Him, then you're saved by grace. God is your Father. John said it this way in 1 John 3:1, "See what great love the Father has lavished on us, that we should be called children of God!" Father God is shown in Proverbs as a strong Defender of the fatherless. Proverbs 23:10-11 says "Do not move an ancient boundary stone or encroach on the fields of the fatherless, for their Defender is strong; he will take up his case against you." (Every common translation capitalizes this word, signifying it represents God.) In those times, the boundary stones established people's property lines. Think about it. What hope did an orphan have in those days? They had no family, no inheritance. Their property was their most valuable possession, possibly their only hope for food and/or income. For someone to steal a portion of the orphan's property was a gross injustice in the eyes of God. If someone messes with God's child, this proverb is saying the Father will take up His case against them. The Father takes up His case against the enemy. In the new testament, Jesus paid the price for us on the cross. When hell was having a party, Jesus had a plan. He was disarming hell and the grave on your behalf. And His resurrection power enables you to walk away from sin and enter into a relationship with Father God. As I have talked about various homes (Eden, your home and with friends in Blog #1 and secure in Christ in Blog #2), no home compares to being at home with God, abiding in His presence. This is a conscious act and takes time to develop. But it is possible and has been life-changing for countless people for centuries. Prayer, bible study and many other activities can bring you in. Psalm 16:11 says, "You make known to me the path of life; in your presence, there is fullness of joy ..."
There will be a time when your parents or people you look to for guidance or mentorship will begin to pass away. Being with them will suddenly not be home anymore ... because (sorry to be so blunt), they will be gone. I have a relative like this who is currently gradually losing weight. There seems to be no medical reason for this. We are just praying for comfort and a breakthrough. 1. The promise of God's leadership, love, goodness and presence. You see, I don't think any of us will understand all of the stuff we go through in life. God may not always offer explanations, but He does offer Himself. His comfort results in our consolation. His discipline results in our maturity. His love changes us forever. 2. And consider the eternal justice of God. For example, anytime someone questions why a good God would allow someone like Hitler to inflict monstrous pain on others, I want to point out the possible disastrous condition of their souls. Only God knows people's eternal condition, but an eternity in hell is nothing to take lightly. Let us return to God's Fathering heart. Do you know why I love my children? Why do you love your children or possibly those you have influence over? I love my kids because they're mine. Not for their achievements or personalities. I do not dislike them when they make mistakes (partly because of poor choices I too have made over the years). I simply love them because they are mine. They are my sons and my daughter. Nothing can change that. Father, I do not know you as much as I would like. Open up the word and my heart to receive you. I turn from the sins of my past, and I trust you in a new way now. Lead me into a healthy new life with you. Amen. Lastly, here are a few songs that I hope will bless you. I wrote "I Trust In You" when I was processing my own view of God as Father. God bless you in your relationship with the Father. There is hope in a harvest. Seeds are planted. Expectation rises. The same is true with your heart. Jesus causes your heart to come alive, and as you grow new life abounds. He said, "the thief's purpose is to steal, kill and destroy. My purpose is to give them a rich and satisfying life." John 10:10 Jesus satisfies. But the first part of a seed's life is hidden. It is under the surface, in the ground. Or like a lotus flower, hidden under the water, waiting. In the bible, they likened this stage to dying and being reborn, a drastic transformation. Christ described His own journey in these terms. "… unless a kernel of wheat falls to the ground and dies, it remains only a single seed. But if it dies, it produces many seeds. Anyone who loves their life will lose it, and whoever hates his life in this world will keep it for eternal life." He told Nicodemus, "unless one is born again he cannot see the kingdom of God … unless one is born of water and the spirit he cannot enter the kingdom of God. That which is born of flesh is flesh, and that which is born of the Spirit is spirit." So Jesus speaks and breathes life into us through His Spirit. We are born again. 1 Peter 1:23, "For you have been born again, not of perishable seed, but of imperishable, through the living and enduring word of God." Romans 8:15-16 says we did not receive the spirit of slavery to fall back into fear, but we have received the Spirit of adoption as sons, by whom we cry, “Abba! Father!” The Spirit himself bears witness with our spirit that we are children of God. 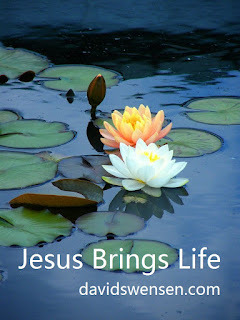 Jesus brings new birth into enduring new life. Let us all come alive today. I cannot talk about the Father heart of God without talking about His Son. Jesus lived approximately 33 years, His last three years comprising of His public ministry. Every Easter we acknowledge His death and resurrection. On New Year's, we celebrate the anniversary of His impact on the earth. At Christmas, we celebrate His birth. The copyright on your favorite music dates back to His life and death. There can be no denying that Jesus walked the earth. But what impact does this have on our lives? Acknowledging Jesus lived among the men and women is not enough. We have to come to grips with Jesus as the Christ. You see, Jesus was His name, but Christ was His title. "Christ" is another word for Messiah, or "anointed" one, literally "smeared." Jesus had a mission. He was set apart for a specific task. He was after your heart. We can see His heart for people from different angles. When His friend Lazarus died, Jesus wept and called him out of the tomb with grave clothes and all. For a woman who had bled for years, He ministered healing. At the temple, His passion burned as He overturned the moneychangers' defilement of His Father's house of prayer. For a paralytic, He stopped the meeting, healed him and forgave his sins. For you, He stands at the door and knocks, waiting for you to invite Him in. You can rest assured of this. He is after your heart. If He was such a great man, why did they crucify him? Because he had a unique relationship with God. He was God’s Son. You may say, "Waitaminute. You had me with the historical Jesus, but Jesus as God's flesh and blood? I just don't know." Well, Jesus knew. He said in John 10:30, "I and the Father are one." And He had a hope, an anchor. His foundation was found in His relationship with His Father. When His Father asked Him to lay down His life for the salvation of mankind, His prayers were so intense, He was sweating blood. And He prayed, “Not my will, but Yours be done.” After all, He was after your heart. Jesus answered: “Don’t you know me, Philip, even after I have been among you such a long time? Anyone who has seen me has seen the Father. How can you say, ‘Show us the Father’? Don’t you believe that I am in the Father, and that the Father is in me? The words I say to you I do not speak on my own authority. Rather, it is the Father, living in me, who is doing his work.” If you’ve seen the Son, you’ve see the Father. I remember the first time I went into a worship service where people were lifting their hands as they sang their songs. I thought, “What is with these people?” It turned out their security was not being afraid of what others thought about them. It was in Christ. He had revolutionized their lives and made them passionate for Him. So where do we stand? 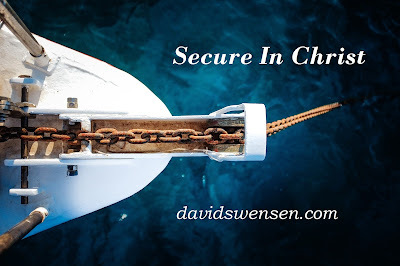 Is our security primarily in Christ? This is not the three little pigs picking the correct material to keep the wolf out. This is abiding in the shadow of the cross, the empty tomb, the risen Christ and His very Spirit. Hillsong Worship recorded an updated version of the classic hymn “On Christ the Solid Rock.” One of the writers, Reuben Morgan explains that "When the earth shakes, we look to our feet and wonder what it is that we are standing on? When darkness seems to hide His face; In every high and stormy gale; Through the storm; My anchor holds". See it here. Again, Revelation 3:20 says, “Here I am! I stand at the door and knock. If anyone hears My voice and opens the door, I will come in and eat with that person, and they with Me.” If you have met the Son, you have met the Father. He is after your heart. Open it, and welcome Him in. Hello. 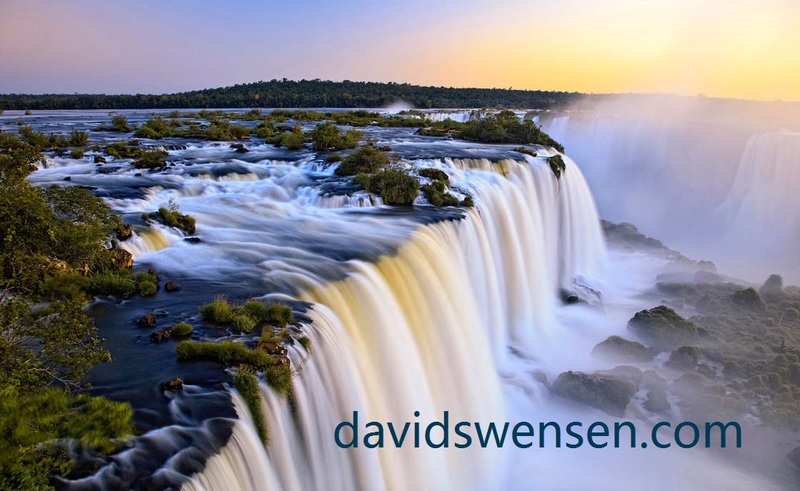 I am Dave Swensen. 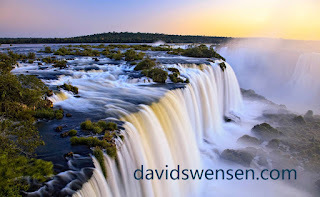 In this blog, I will not pretend to know all of the answers along the way. I have made some huge mistakes during my journey. But I may be further down the road than some of you. I hope you will be blessed and check in from time to time. A few years ago I was feeling quite unsettled. We were in the midst of moving our family of seven (plus three cats and a dog) from one city to another. We had stayed in that previous house for longer than we had been anywhere. To make matters worse, the rental house we stayed in, between homes, was foreclosed upon while we were living there. Upon arriving in this new town, we wondered if this really could be home. None of us were fully convinced. Just because you are living somewhere, does that necessarily make it your home? 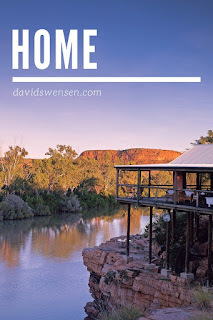 I was meditating on this concept of "home," and I went to our church's annual Men's Retreat. During some free time, I was playing piano in the main meeting area. My friend Tony was playing electric guitar, Joseph was on base and Ken was standing watch and listening. Memories of years playing on our worship team and serving the youth came flooding in. As tears filled my eyes, I thought, "This is the only home I've got." I was with old friends who were doing what they did. And it felt like home. So our home can be with others. Take some time today to reflect on those you value on earth and consider if you feel "at home" around them. Genesis 1 shows God creating the world in phases. Many times He saw that his creations were "good" (Gen. 1:4,10,12,18,21, and 25) When Adam was alone in the garden, God said for the first time it was "not good" that Adam was alone. Then God added Eve to Adam's world (perhaps saving what was truly best for last ;) ) He called this union "very good." God did not want Adam to be alone. And he doesn't want you to be alone either. The love of a friend can be worth more than all of the possessions in the world. Song of Solomon 8:7 says it this way, "Many waters cannot quench love, neither can floods drown it. If a man offered for love all the wealth of his house, he would be utterly despised." This kind of intimacy cannot be bought. It is invaluable. Proverbs 17:17 says it this way. "A friend loves at all times, and a brother is born for adversity." Is this simple? Yes. Is it easy? No. It will require risk. To be intimate requires vulnerability, but it is necessary for life in your relationships. Otherwise, we are just living instead of thriving. One way to look at intimacy is allowing others to see the real you. A play in words says: Intimacy requires into-me-see or see-into-me. I was not really close with another person as a child. My siblings were seven or more years older than me. So I remember spending a lot of my time alone. I remember building forts for two opposing armies and having pretend battles in the woods back behind our house. I found joy in comic books and horror fiction. But there was not much relational "intimacy" until I hit college. I got real with a few of my friends and I met regularly with a staff member from Campus Crusade for Christ. Our meetings were simple. He asked me what I was learning, and he told me what he was learning. A simple exercise that led to some pretty awesome conversations. These new relationships laid a pretty good foundation that led me into a marriage with pretty healthy communication habits. Again in Genesis, when disobedience entered the picture, one of the consequences was that Adam and Eve lost their garden. They were cast out of the only home they had known until then. They not only lost their home, but their relationship with God was forever changed as well. But we can look at that in a blog yet to come. So, how are you? My prayer is that you are blessed with healthy relationships. When I talk along these lines, perhaps no one comes to your mind. You draw a blank. Or maybe you have just ended a long relationship and you feel bitter or jaded when I bring up the idea of forging a new friendship (or friendships). Possibly you have been trying to numb your personal pain, hitting the "reality ejection seat" with a buzz, an outright high or various sexual exploits. Well ... that proverbial hole in your heart will not be filled by anyone except God. No matter what despondent situation you are in, lift up your eyes. God can. He is faithful. He is in the redeeming business. Consider seeking out a church family or other healthy Christian friendships and be real with them. Allow them to be honest and real with you as well. "You've got to be a friend to make a friend." God bless you as you search out new healthy relationships or solidify the ones you’ve got.